I’m stoked to pass on the news that The Combat Workshop has decided to reboot its Sprue Cutters’ Union blog circle! This is something that I missed out on in my pre-blog days, so I’m looking forward to participating in this monthly dialogue concerning a given topic. Membership in the Union requires mutual links to each other members’ response to the given topic, so I’ll be linking to those at the bottom of this page. Be sure to check out their thoughts, too! Appropriate for January 1, is it not? Right now we are in the midst of The Great War centennial, an occasion that reminded me that I know far too little about this war to supposedly end all wars. Independent research has started to give me a passing familiarity with the overall phases of the war and the social and technological changes it wrought upon the world. Like the aforementioned tanks, I would love to take a stab at WWI naval power, particularly Battle of Jutland vessels. An interesting merger between this desire and my lifelong-affection for Olympic Class vessels would be a build of the Lusitania as well, though that would inevitably need to also contain a torpedo track. You know, that’s a good idea. I might move that closer to the top of my list. If 2014 was the year I learned to weather, I hope 2015 is the year I learn to create better depth and shadow using more than just oil washes and Tamiya X-19 Smoke. The various articles I see in FineScale Modeler and on other great blogs show me that a lot of possibilities exist for deepening and enhancing the finish of my models. This will be best attempted on larger-scale projects with large vertical surfaces and recesses, so it, too, may finally have a reckoning when my next armor project crosses my workbench. About a month ago I decided that I was going to invest in a couple of Flory washes, as well as some of the new (and apparently breathtaking) Mig Jimenez Ammo products. Thus far, I have been satisfied by using thinned artists oils to enhance panel lines and grime effects, but the clamor over these products is beginning to become too loud to ignore. 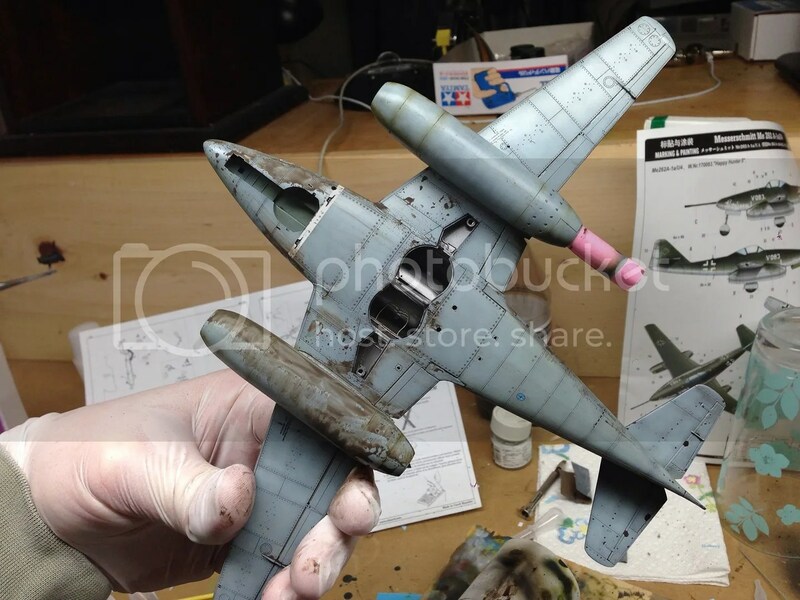 Fortunately, it seems my local Hobbytown USA stocks the Mig washes, so some of those will likely end up on my painting table sooner rather than later. Finally, I’d like to finally take a try at resin products. I’ve been given a hard sales pitch for them at a couple of IPMS meets now, and the wide availability of specialty parts certainly complements this blog’s stated mission of creating historically accurate builds. I know that I will need to invest in a few new tools, but fortunately I already acquired a respirator a few months ago – no carcinogenic dust for me! Very cool i love how you guys use a wash in comparison to what i do with a car. I also want to try the resin way further, i have dabbled with some items but as yet have not taken the plunge to go all out. Thanks for the comment, Shayne! I love how you car guys are so adept at making super-high-gloss finishes. Knowing my luck, I’d get cat or beard hair marrng the paint job in the worst possible place. Just discovered your blog through the Sprue Cutters Union (only back for ONE day and already reaping rewards :-)) and I really like it here. I prefer blogs that combine build logs and technique explanations (as opposed to just posting pictures of finished models). Looking forward to more. Happy new Year! Thanks, Jeroen. I’ve been asking Jon if and when he was going to get the SCU back up again. Looking at its previous incarnation, I’m glad I’m able to contribute this go-round. As for your kind words – thank you! Rather than just be a photo gallery or temple to The Perfect Build, I’d like my blog to be a forum where we can discuss all aspects of the hobby, from the actual building of the kit to the antecedent events that led to the kit’s creation in the first place. I’m glad to have you as a reader!